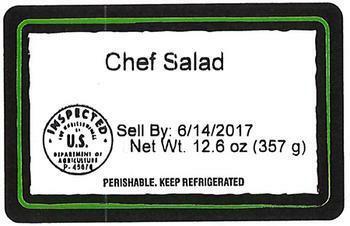 CC Kitchens of Cincinnati, Ohio, is recalling a limited number of salad and slaw kits that may be contaminated with Listeria. The recalled products were distributed through Kroger in Ohio, Michigan and West Virginia. Customers who purchased the recalls products should not consume them, but discard them. Consumers with questions may call CC Kitchens at 866-458-3188 from 8:00 am – 5:00 pm (ET) and leave a message after hours.